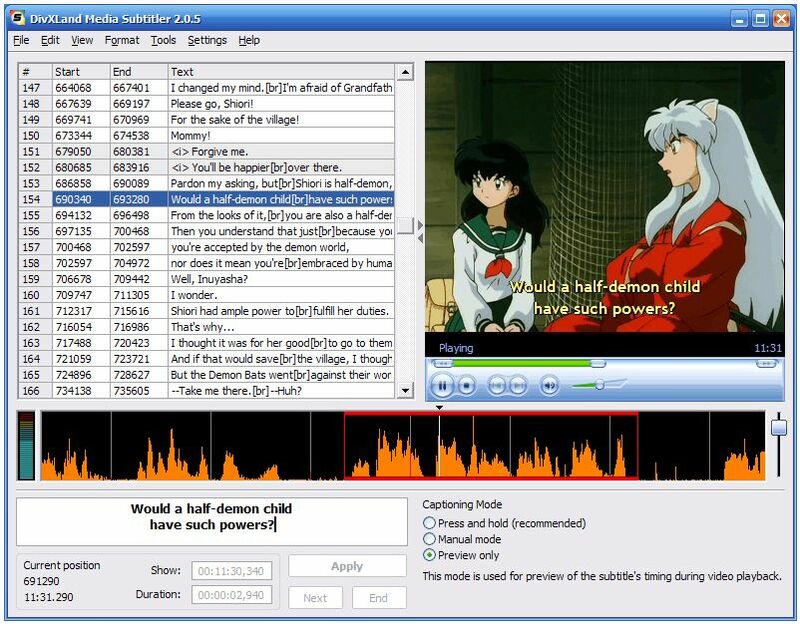 Have you ever wanted to be a fansubber and create your own subtitles for anime or jdrama? Usually it is a very labor intensive process with timing, or tough actually finding an inexpensive video editing program with the feature. Well the people at DivXLand have created a new, free program called DivXLand Media Subtitler that makes it very easy. Currently it supports over 30 different subtitle formats and 15 popular video formats. Check out more information at their website.